One significant change in the past few years is the top of mind presence of the customer on the part of CEOs. The mandate of “getting closer to the customer” has never been stronger. Various surveys point to CEOs linking business growth to increasing customer engagement efforts, growing their customer base, and improving customer retention. With existing customers and prospective buyers metamorphosing into more digitally inclined buyers, organizations are faced with uncertainty about who represents their buyers. Causing CEOs and the C-Suite to ponder how they should align their overall business strategies with customer strategies. Linking business growth strategies to customer strategies have CEOs looking towards more impactful leadership from CMOs in this digital climate. Over the past decade, the idea of organizations becoming more customer focused gained much momentum. The dilemma, however, is it has become a lot easier said than done. Viewing strategy through the eyes of your customers is now seen by CEOs as crucial to gaining even a slight lead in the market. Knowing full well competitors are making the same efforts. This dilemma gets even harder for large global enterprises with a long history. Their existing organizational structures cemented in functional disciplines, which are hard to break. What CEOs and the C-Suite are realizing is it takes a deep understanding of their customers in order to make the right strategic investment choices towards becoming customer focused. 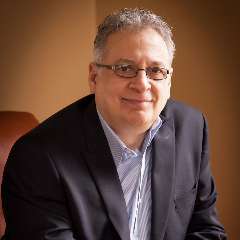 The days of trumpeting new “programs” extolling the organization’s commitment to being customer focused is drawing to a close. Customers and buyers are basically saying, “sounds nice but show me.” Not hesitating to walk away if companies no longer help them accomplish their goals. What CEOs and the C-Suite have come to understand is the evolving need for a defined customer strategy, which keeps pace with the evolving new buyers of the digital economy. In what seems like eons ago, organizations were used to batting a decent percentage on anticipating what customers wanted. This predicting came from internal resources devoted to product management and sales. This is no longer the case. The digital multichannel world has reduced batting percentages reliant on just internal perspectives to abysmal levels. Having a customer strategy, which addresses how all facets of an organization align with customers, is a mandate the C-Suite need to make clear throughout the enterprise. 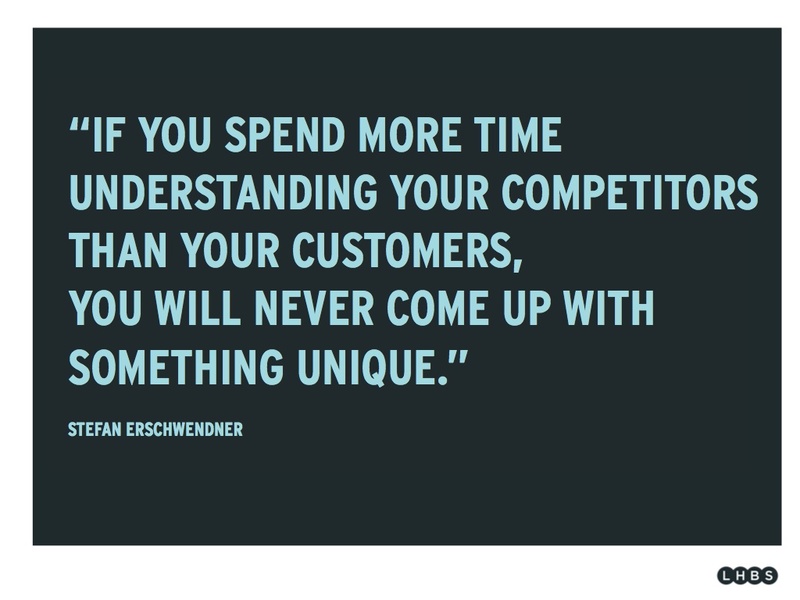 To do so, means solving the missing link in building an all-encompassing customer strategy. The missing link is a deep and thorough understanding of customers and buyers. One way CEOs and their C-Suite can address the missing link is to make use of customer and buyer insights research. Such research becomes an exercise for organizations and their leaders to become better listeners of customers in the modern digital era. While Big Data has offered one way for an organization to listen to customers, the qualitative aspects of customer and buyer insights research helps organization to uncover the humanized story of their customers. Opening up new avenues of opportunities for such understanding. 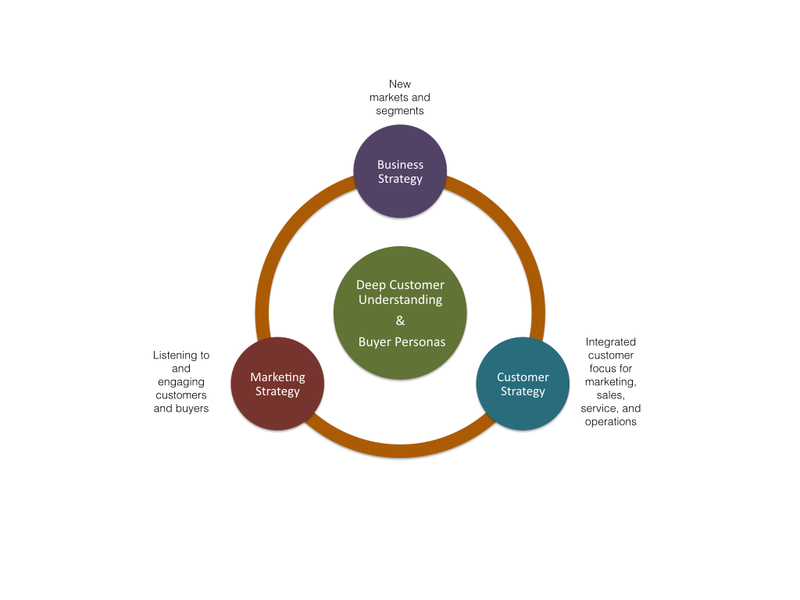 Buyer personas, as well as personas depicting insights found for users and existing customers, offer organizations the capability to put deep customer understanding at the center of their strategy. Linking business, marketing, and customer strategies with a strong bond of insights geared towards building a loyal base of customers. To link business, marketing, and customer strategies in a unified way, it is important for CEOs to lead the charge in making sure the right insights are sought and a common view of customers is provided. Oftentimes, an organization can put itself in peril when customer and buyer research is strictly silo focused and attempts to illustrate already known intelligence about customers. For example, many buyer persona efforts today are silo-bound in marketing and duplicate already known functional factors sales has been working with for the last couple of decades. In essence, becoming a buyer profiling exercise. Failing to provide the deep understanding the C-Suite needs to be informed on how to expand business growth strategies, as well as customer strategies. In other word, failing to provide the missing link. Developing a customer-centric perspective is becoming a top investment goal for CEOs and the C-Suite. This includes investing in ways to make a common view of customers available enterprise-wise. An example is one CEO of a mid-size $500 million company I worked with a few short years ago, who held off-site meetings with his C-Suite team. One time, I was invited to participate. Strategy planning took place by each C-Suite member talking about the customer (applicable buyer persona) as if the customer was present in the room. Thus, the organization had developed a top to bottom common view, language, and applied understanding of their customers. This led to the creation of new customer support services, a newfound market opportunity, and a 22% jump in sales revenues over a three-year period. Achieving customer focus beyond the “program” level is a long-term commitment. It begins with first solving the missing link between business, marketing, and customer strategies. Deep and thorough understanding of customers leads to identifying what may be causing poor customer experiences. Exposing breakdowns between various silos and departments. A common view of customers, made possible by buyer personas, leads to the collaboration among functions needed to expand business growth as well as customer loyalty. I end with the previously made mention of CEOs seeking more impactful leadership from CMOs. While informing CEOs and the C-Suite how well a piece of content is performing is a tactical nice-to-know, they have come to expect more. What they have grown to expect is providing the missing link – a deep and thorough understanding of customers.